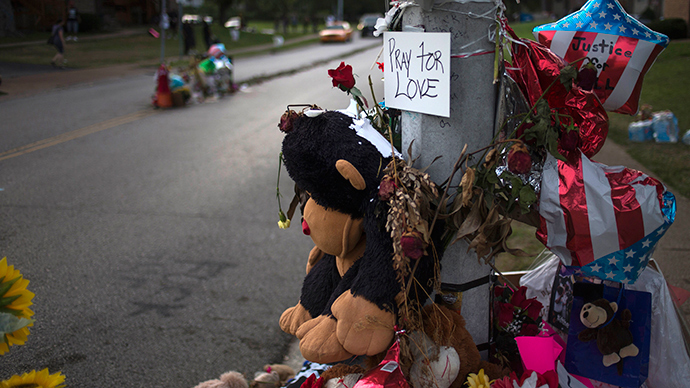 ​Fire has destroyed one of the two memorials to Michael Brown located on the street on which he was shot dead in August. 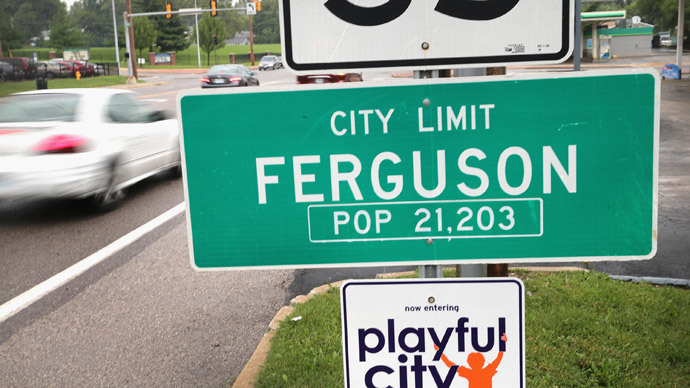 The place has been dear to many in Ferguson, as the town saw weeks of confrontations between residents and police. The cause of the fire is not clear yet. But many of those who gathered in the street blamed police for the blaze. The chief said officers were doing all they could to try and prevent the memorial - comprised of stuffed animals and other items - catch fire for candles, according to AP. Residents are divided as to whether it was an accident or somebody set it on fire. 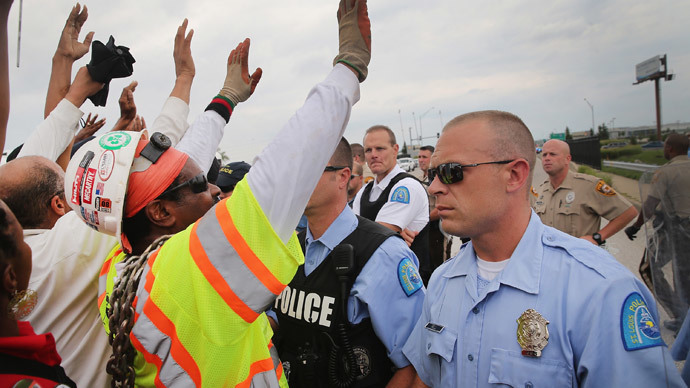 The blaze gathered crowds, who expressed their distress at the fire, as well as discontent with the probe into the shooting of the unarmed, black 18-year-old by a white Ferguson police officer. 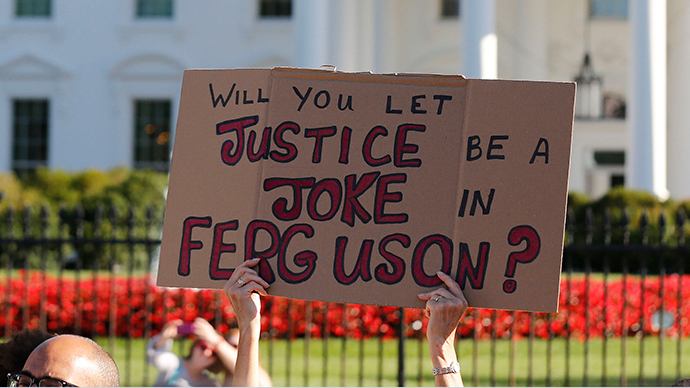 Officer Darren Wilson remains free and while a state grand jury decides whether or not he should face criminal charges and the department of justice is investigating. 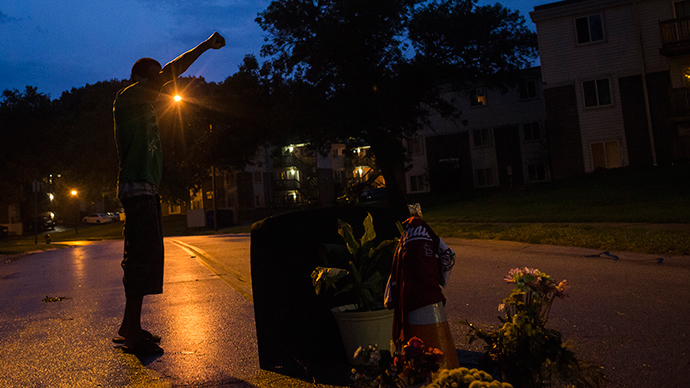 "It's the same as if somebody came and desecrated a grave," Anthony Levine of Florissant, another St. Louis suburb, said to AP. There were two memorials to Brown, set up in the immediate aftermath of his death. The remaining one is in the middle of Canfield Drive at the spot where Brown was shot. It is made of stuffed animals, crosses, handmade signs and other items. The one that caught fire was a smaller memorial with teddy bears and other items, including candles, built around a streetlight. The memorial was rebuilt after the fire, but the incident saw more discontented people flooding the streets in the suburb, which was gripped by violence for several weeks. 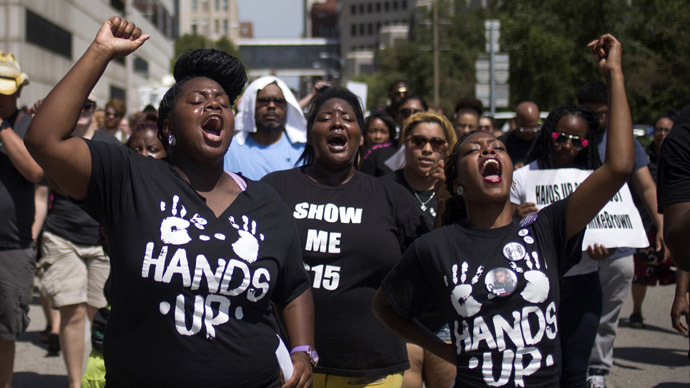 Brown’s killing on August 9 triggered weeks of civil unrest in the district of St. Louis, which has a mainly black population, while its police department and city leadership is mostly white. 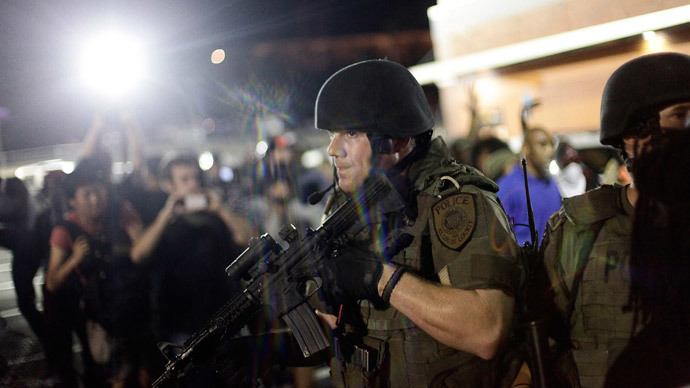 Law enforcement’s heavily militarized response to rallies and demonstrations near the site of the shooting increased tensions and galvanized the local population calling attention to racial grievances.